Silent Sky Project#41 June 26th 2011, 7.08 – 7.38 pm, 3 participants, Le Maupas, France. The wooden horse on fire. In a small village in the center of France, Pepijn van Zoest (Amsterdam / Maupas) builds a large wooden animal every year. 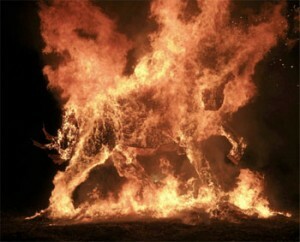 At the Feu de St. Jean, the midsummer night celebration, the animal is burned. In time this has grown into a large local festival and a group of people come from Holland every year to help build the animal. 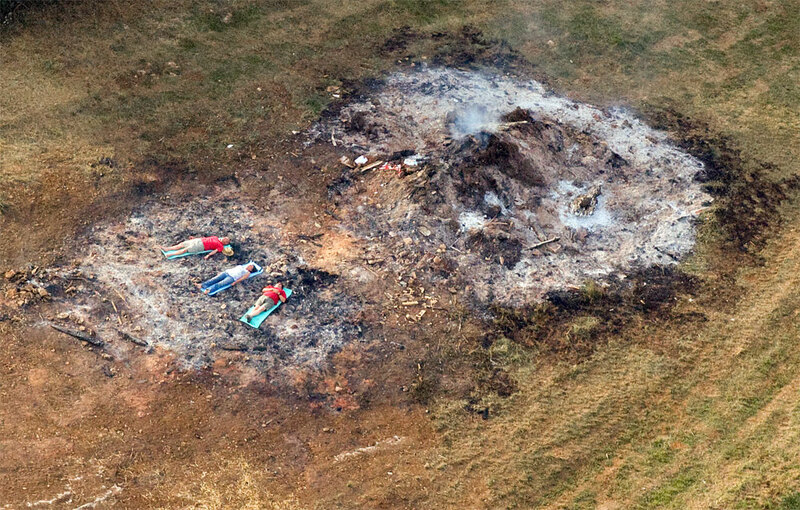 The day after Feu de St. Jean, Pepijn and two other builders looked at the sky in silence in the remains of the big fire. Thanks to: Pepijn van Zoest & Ellen Boersma. Photo: Ellen Boersma. Horse on fire from Mark Gilbert on Vimeo.